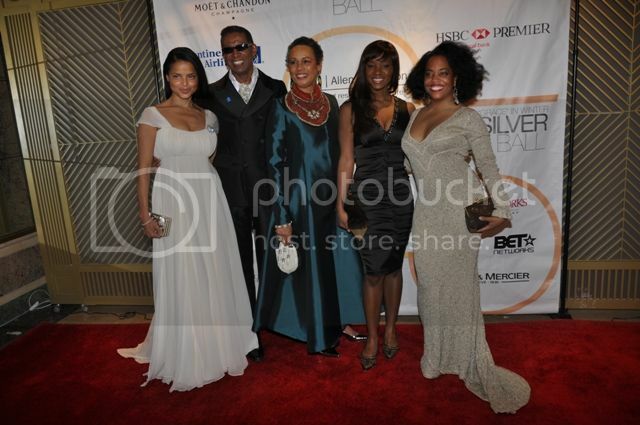 Actress Victoria Rowell, designer B Michael, Myrna Colley-Lee, FELA! 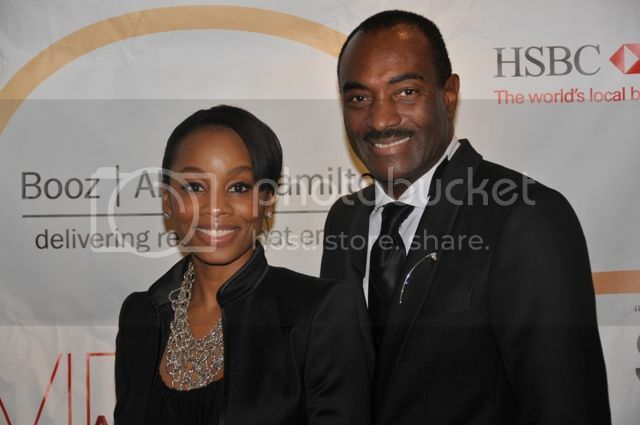 star Saycon Sengbloh, and Rhonda Ross attend Grace In Winter Silver Ball, the 25th Anniversary of Evidence, A Dance Company on February 8th in New York. 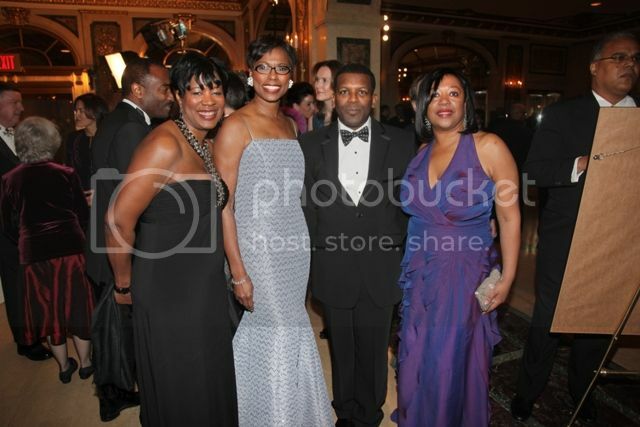 The Grace in Winter Silver Ball, celebrating the 25th Anniversary of the critically acclaimed Evidence, A Dance Company certainly lived up to its name – The Plaza Hotel ballroom positively glowed and the evening was filled with the grace of performances by Ronald K. Brown’s acclaimed dance troupe Evidence, Jennifer Holliday, jazz great Peven Everett and gracious moments and tributes. 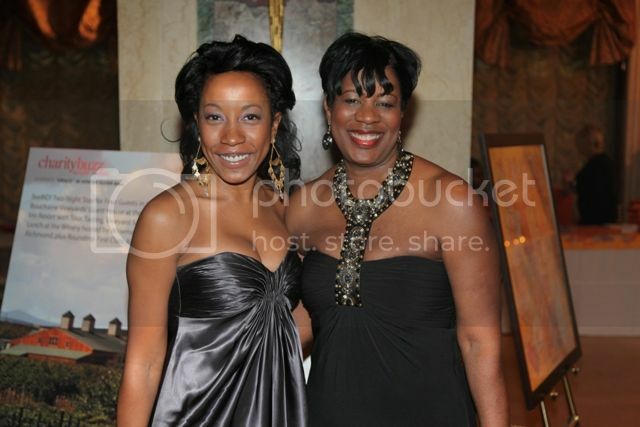 The glamorous evening benefited the Brooklyn based dance company. Despite the bone chilling temperatures, most of the glam gals were in bare shoulder, backless dresses and showing lots of cleavage. 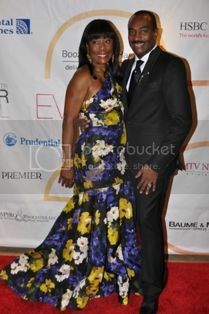 The red carpet dazzled with the likes of legendary dancer Judith Jamison, Grammy winner Estelle, First Lady of New York Michelle Paterson, Tony Award winner Anika Noni Rose, Tamara Tunie, Maurice & Andrea DuBois, Khephra Burns & Susan Taylor, Victoria Rowell, chef Marcus Samuelsson, Anthony McGill (who played with Yo-Yo Ma at the Obama Inauguration), Emmy winner Lynn Whitfield, singer Rhonda Ross (looking more like her mother Diana everyday), Saycon Sengbloh and Sahr Ngaujah stars of the rousing Broadway musical “Fela;” vice chair Joyce Mullins-Jackson in a stunning floral gown; publisher Jocelyn Taylor in slinky backless satin; Carla Harris, Domna Stanton and Alexandra Stanton, Valerie Michel, Brie Bythewood, Monica Azare, Prince Kunle Omilana and his gorgeous wife Princess Keisha in Maggie Norris couture, Rudy Chavez, president of Baume & Mercier (his company donated the beautiful watches given to the honorees); Leslie Mays in shimmering fuchsia satin, Jean Shafiroff in strapless electric blue and eye popping sapphire and diamond earrings; Debbie Bancroft, Pamela Joyner, Lloyd and Patricia Howell and so many more. The premiere African-American event of the season, the evening opened as always with the emotionally stunning “Grace,” the dance company’s signature piece with special performances by Jennifer Holliday and Peven Everett. The performance drew the audience to their feet with thunderous applause. 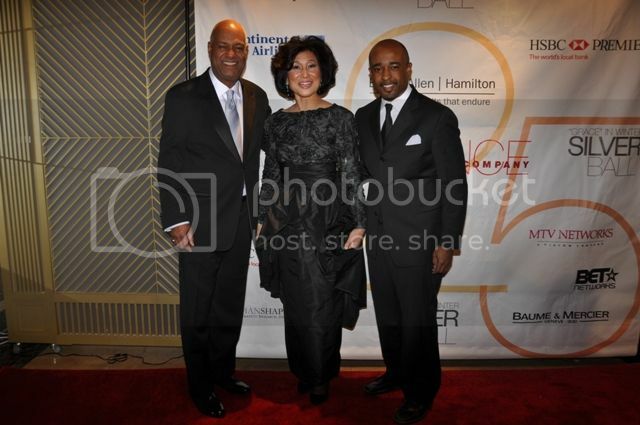 The gala honored Brown, the company’s founder and Artistic Director; arts patron Reggie Van Lee, Board Chairman of Evidence, A Dance Company and longtime corporate supporter Booz Allen Hamilton. 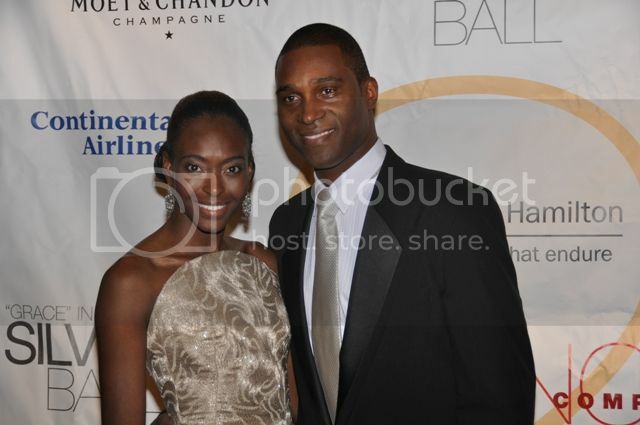 The honorees received inscribed Baume & Mercier watches. 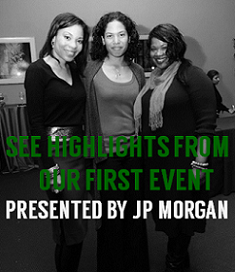 Actress Victoria Rowell emceed the evening. Brown gave an extraordinarily touching speech about fellow honoree Reginald Van Lee and whipping off his dinner jacket performed a special tribute dance in Reggie’s honor before presenting him with the Classima Executives watch, donated by Baume & Mercier. 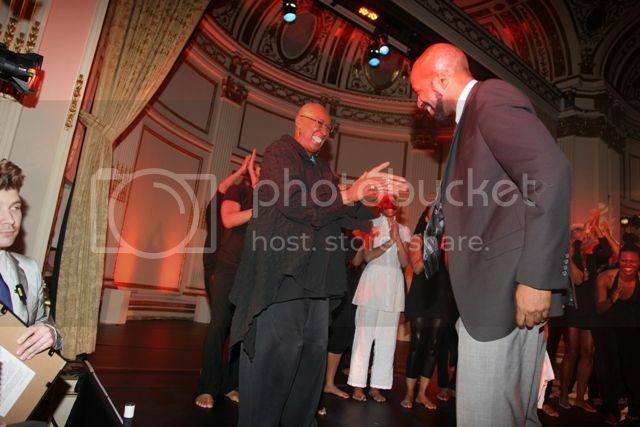 In honoring Brown, legendary dancer Judith Jamison an unabashed fan of Brown’s choreography praised him saying,” I thank God every day that there exist men who are the mountaintops …and you are Kilimanjaro!” She then presented his award, an inscribed Baume & Mercier watch. Jamison literally danced her way to Brown! Then Brown received another surprise – associate Artistic Director and lead dancer Arcell Cabuag appeared on stage with a dozen alumni of Brown’s company who came from as far as California and London to dance one more time for the beloved choreographer. Although Evidence, A Dance Company celebrates an extraordinary 25 year history, this season is a golden one for the company and Brown personally. A magnificent commemorative book detailing the Company’s 25 year history and Hermès created a limited edition scarf to commemorate the anniversary. Next week the troupe embarks on a State Department-sponsored tour to Africa and then will perform at the Vancouver Olympic festivities. There was an extraordinary live auction of three fantasy trips including a week in Paris at the Hotel Keppler that included private receptions at Dior and Hermès with a very special visit to the apartment of design legend Coco Chanel courtesy of EuroPancache. The evening wrapped on an emotional high note with Holliday taking to the stage to belt out her trademark song from “Dreamgirls,” “And I am telling you, I’m not going.” Holliday with her soaring vocals once again brought the crowd to its feet. Closing the show, Victoria Rowell invited the guests to join the dancers on the dance floor which they did enthusiastically and The Grand Ballroom throbbed until the wee hours. 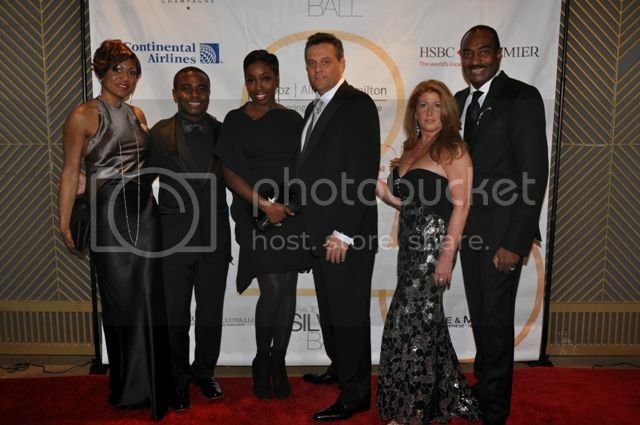 The Ball’s sponsors, all of whom have supported Evidence for many years, include HSBC-Premier, The Official 25th Anniversary Year Corporate Partner, Booz Allen Hamilton, Continental Airlines, ING, Moet & Chandon Champagne, Verizon, BET, MTV, Carla A. Harris, Baume & Mercier, Joyce Mullins-Jackson, Ethan Shapiro & Associates and Prudential. Hamptons.com was the media sponsor. 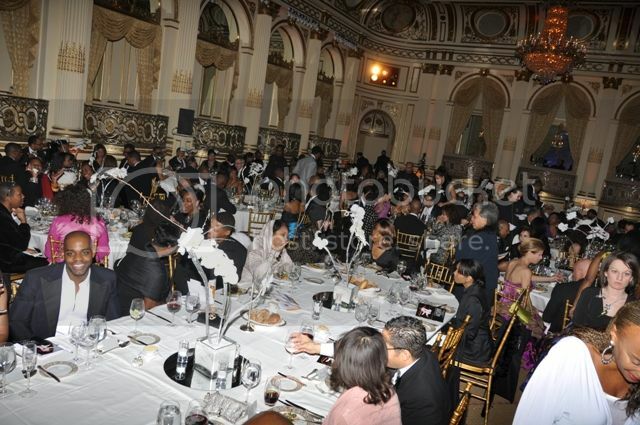 Thanks to the tireless efforts of the committees and board, organizers report that the gala event which benefits Evidence, A Dance Company reached its goal of $500,000. 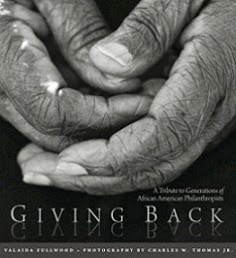 The Silver Committee included: Maurice and Andrea DuBois, Noel Hankin and Moët Hennessy USA, Judith Jamison, Pamela J. Joyner and Alfred J. Giuffrida, Rhonda Mims, ING, Terry McMillan, Ms. Baraka Sele, René Syler, Susan Taylor and Khephra Burns, Tamara Tunie, Cicely Tyson, Lynn Whitfield, Reginald Van Lee and Booz Allen Hamilton. 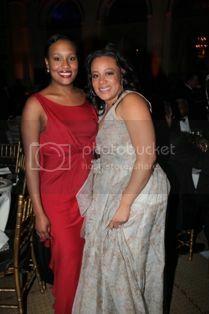 The Silver Friends Committee included Alicia Bythewood, Felicia Daniels, b Michael, Harriet Michel, Mira Mullins, Esq., Brian Mullins and Donna Williams. Luxury Auction Committee includes: Tybie Etoy Dotson, Chair; Marc Eastwood, Joyce Mullins-Jackson, Vanessa Rodriguez, Gail Monroe Perry and Andrea Hoffman. I'm a huge fan of Ronald K' Browns work. He's an underrated genius in the dance world. Images like these inspire me to work & push harder. We have such a tremendous legacy to continue and the best is yet to come.